With a warm, calming voice and a message grounded in research and informed by her real world experience teaching and practicing mindfulness, the author of Mindfulness & Grief will inspire your audience to make self-care a priority through easy-to-implement self-care practices and inspirational stories of hope, healing and posttraumatic growth. Her inspiration for helping others stems from her uncle’s death by suicide and her stepfather’s sudden death following a surgical procedure. From coping with grief and family caregiver stress, to increasing resilience and leadership skills in Hospice and Palliative Care professionals, Heather will work with you to craft a keynote or workshop designed to make your event successful and memorable, with optional guided meditations and online instructions that will be accessible to attendees after the event. She also offers speaking packages that include copies of her books that you can distribute or sell to attendees. 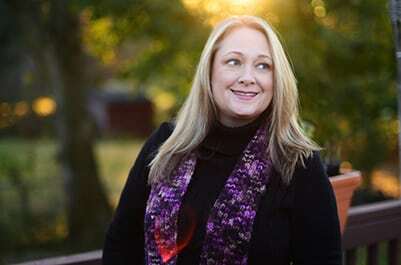 Heather Stang holds a Master's in Thanatology from Hood College, and is a Certified Yoga Therapist. She is an active member of the Association of Death Education & Counseling and the International Association of Yoga Therapists. 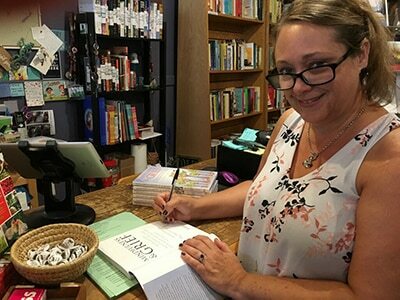 In addition to her best selling book, Mindfulness & Grief, Heather has contributed chapters to Techniques of Grief Therapy: Assessment & Interventions edited by Dr. Robert Neimeyer, and is the host of the Mindfulness & Grief Podcast. Heather's clients are primarily comprised of national healthcare and hospice organizations that offer professional training (CEs and CEUs), associations that support professional or home caregivers, and bereavement support programs. 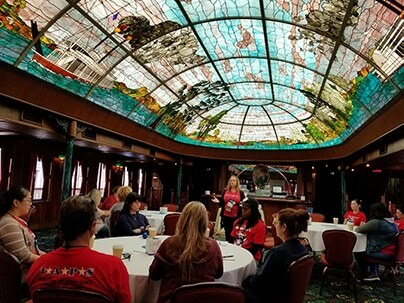 Additionally, Heather offers Mindfulness & Leadership training to organizations such as pharmaceutical companies, library and civic associations. 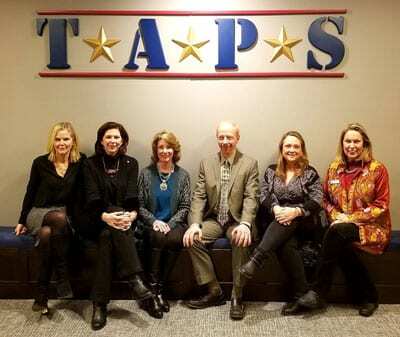 The Association of Death Education and Counseling, National Hospice & Palliative Care Organization, Tragedy Assistance Program for Survivors (TAPS), the National Fallen Firefighter’s Foundation, LiveOnNY Organ Donation, and the Maryland Library Association are a handful of the organizations that have hosted Heather at their events. Heather travels from the Baltimore/Washington DC region and lives in Maryland. 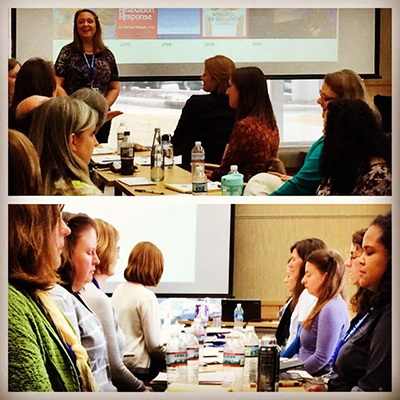 To discuss how Heather can help you create a memorable conference, workshop or seminar, connect with Heather or call 240-446-3030 today! My goal is to leave the audience with the burning desire to live more fully, more mindfully. I always try to meet them where they are, and give them the tools to take the next step forward. Below are a few samples from Heather's portfolio. All keynote and workshop presentations can be created for and custom-tailored to your specific audience, intention, and timeframe. Meditation & Relaxation Techniques For End-of-Life & Life After Loss. Understanding what meditation technique to use when can help reduce suffering & cultivate posttraumatic growth. Heather is a seasoned professional whose commitment and passion shines through her work and her presentations. 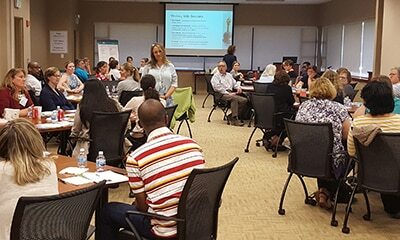 Her half-day preconference seminar [at the National Hospice and Palliative Care Organization’s 2016 Management and Leadership Conference] was well attended and participants rated the session highly. 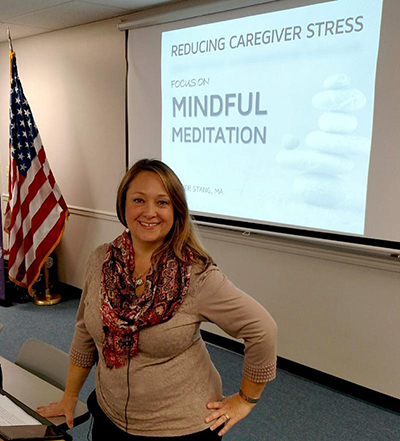 It was so successful that we invited Heather to present at NHPCO’s Intensives (fall, 2016) and lead morning “self-care” meditation sessions for participants. Heather infuses compassion and care into her work and those who participate reap the benefits! We were looking for an engaging speaker who could connect well with our donor families, and create a safe and comfortable place for them to learn about meditation for grief and share their experiences. My favorite part of “Meditation for Grief” was the compassion meditation. I felt it really resonated with our donor families and was something that they could incorporate into their daily lives. I also enjoyed the beginning of the workshop where she engaged the donor families and had them share a little bit about themselves and their loved ones. Heather is warm, compassionate, and engaging. She is a great teacher and makes meditation seem attainable and realistic. Your personality is warm and inviting which we felt would allow our donor families to feel safe. As an organization we are very protective of our donor families, we consistently evaluate and scrutinize the services we offer our families. Your ‘Meditation for Grief’ workshop was absolutely a vital part of that continuation of care we provide.... What struck me most was how compassionate you were with our families as they shared their stories. [Heather's] work is thoughtful, focused and well researched. 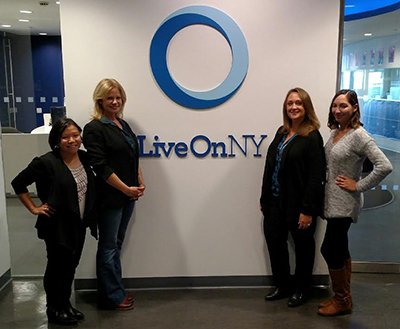 I trust her to work with our donor families because of her compassion and openness about her own grief journey. She knows what she’s talking about, but more importantly she helps you find what works best for you. I thought it was amazing that in a medium sized room with over 100 people you demonstrated that we could follow your voice and relax.I would say [to others that] Heather Stang is a very knowledgeable person and she can help you learn about mindful meditation. She knows about grief, stress, relaxation and more. 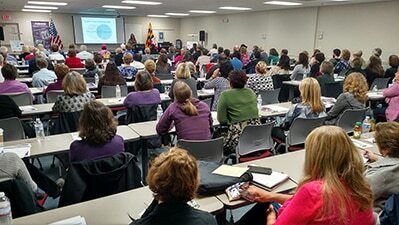 Heather helped over 120 people by speaking at the Western Maryland Dementia Conference; if you have a chance to work with her, I think maybe she can help you too! Not only is she dedicated to making her presentations informative & well-researched, but she also makes them really entertaining! A colleague came up to me after Heather’s talk who said she’s one of the best speakers we’ve ever had for this organization. Heather’s approach was exactly the right balance for our group. She provided historical context for mindfulness practice, then led us through a number of hands-on exercises. The large audience was a blend of novices & current mindfulness practitioners. They were all equally engaged throughout her talk. We’re already planning our next training with Heather! On behalf of the whole MHA Staff, thank you for your wonderful presentation at our February staff meeting. I know we all gained valuable and practical techniques for self care. I just reviewed the feedback from the event and all said that the seminar “The Relaxation Response for Dementia Caregivers” was excellent. From my point of view, the program was a gift to people who are stressed by caregiving. What I found amazing was that there was a roomful of 25 people and for 25 minutes there was not one sound but your soothing voice. Who among us takes the time to be quiet and rest? Thank you Heather.